Superdry men's Rookie leather jacket. 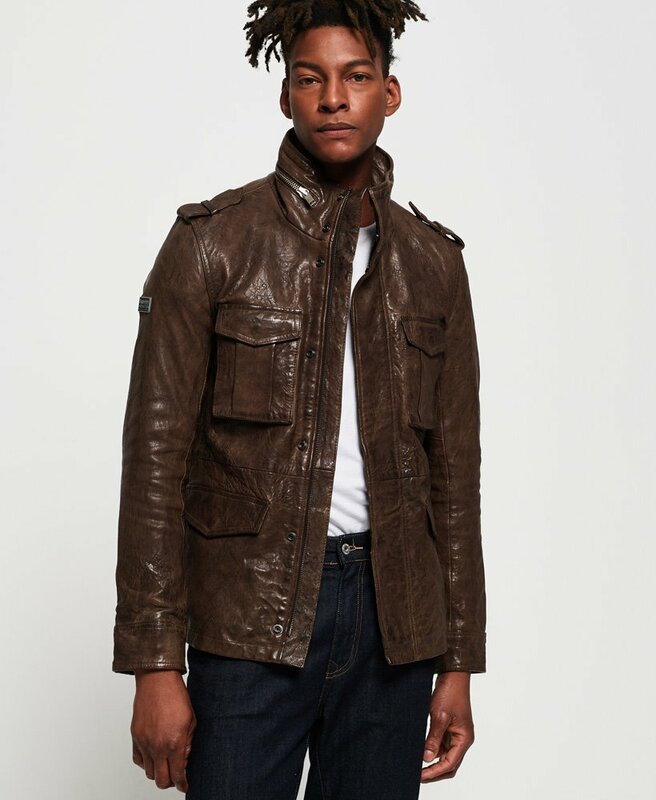 This premium leather jacket features four front pockets with popper fastenings, fully lined inside with one inside leather pocket ideal for holding a phone or wallet and adjustable popper fastened cuffs.This jacket also features a main zip fastening and popper fastenings down the front and a zip on the collar. Finished with popper detail epaulettes and a metal Superdry logo badge on the sleeve.